Hard water contains high levels of minerals such as magnesium and calcium. The hardness of your water can vary depending on the area you live in. Although hard water is not a health concern it can significantly impact the level of comfort in your home. Hard water takes a toll on plumbing systems and water-using appliances and can affect the way water feels on your skin and hair. Do you find yourself scrubbing dishes and faucets, showers and sinks for white, chalky residue? Do you feel like you just can’t clean off the soap scum? You’re not alone. If you have hard water, you may find plenty of evidence of its effects throughout your home – from scale build-up on plumbing fixtures, to soap scum on bathroom surfaces, to spots on silverware, glassware and dishes. When you are taking a shower or washing your hands, do you notice that it takes a lot of shampoo or soap to create the lather you want? Hard water makes it more difficult for soaps and shampoos to lather. Are your clothes starting to wear out faster? This might be happening due to a hard water problem. Minerals like calcium and magnesium can prevent soap and detergent from properly being rinsed, so that they build up on your laundry. This can potentially reduce the life expectancy of clothes and fabrics. If your appliances are starting to wear out and you’re noticing sediment and scale buildup on them, it may be due in part to hard water. Hard water can cause scale build-up on water-using appliances. This can reduce their lifespan and energy efficiency. Hard water can have various negative effects on you and your home. But it’s possible to find a solution that will benefit you and your family. Find the Simple Answers to All Your Hard Water Questions. Hard water can be tough to live with. The unwanted minerals found in hard water could leave soap scum on sinks, bath tubs, hands, hair and laundry, and spots on your dishes and glasses. Plus, there’s the build-up of scale on water-consuming appliances and plumbing fixtures, potentially reducing both efficiency and life expectancy. The solution is a water softener. 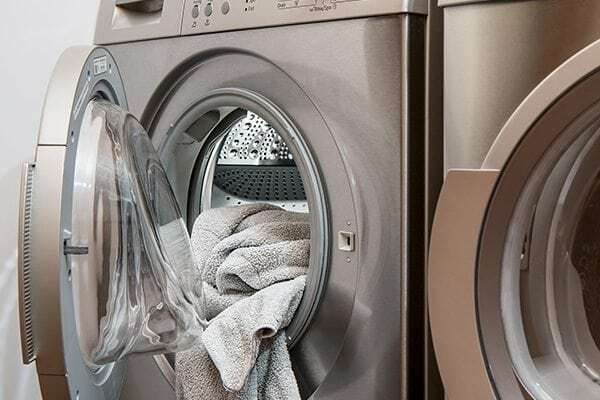 Find out how you can enjoy the benefits of soft water by renting a high efficiency water softener from Reliance Home Comfort™ – one of our water treatment advisors will help you find the solution that’s right for your home and budget.